Quality assurance is the backbone of an efficient and high functioning call center. Without call center QA, an organization cannot measure its performance or track improvements. Essentially, operating a call center without a robust quality assurance program is operating blind. 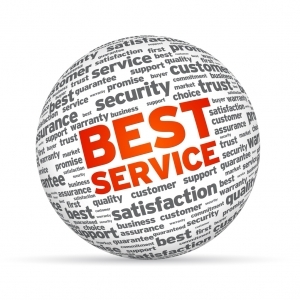 The essence of call center QA is ensuring that agents are providing exceptional customer service. In order to do this, agent interactions with customers are monitored and scored. There can be many different ways this is done, from informal monitoring from management to sophisticated software services designed to oversee customer interactions. When your organization transitions to a formalized call monitoring system, the benefits can be enormous. A good call center monitoring software will provide excellent metrics for evaluating performance, trends, and improvements. With call center monitoring software, associate performance evaluation is no longer subjective. Customer interactions can be regularly screened and monitored. In addition to enabling the recording and scoring of the content of the customer interaction, a good call center management system will provide other data as well. Statistics like call length, time to resolution, number of contacts required for resolution, and more all provide valuable feedback on contact center performance. With call center monitoring software, you can level up your call center QA. A good system will give your organization the opportunity to evaluate and measure more customer interactions than ever before. The data from a call center monitoring software is easily tracked and viewed, making the creation of call center QA metrics a breeze. You will be able to chart out the organization’s improvement over time in the key performance indicators that are important to your business. Effective call center QA starts with having the appropriate call center monitoring software tool in place. In order to maximize your call center quality assurance, be sure that you are working with an established and experienced call center monitoring partner to develop and implement your software. To learn more about a customized call center monitoring software solution to enable and enhance quality assurance programs, contact the experts at Evaluate Quality. Whether you are in the Phoenix or Scottsdale AZ area or elsewhere in the US, the experienced team at Evaluate Quality can help you design a call center monitoring program that meets all of your contact center’s needs. Evaluate Quality, founded by Sage Advantage, is headquartered in the Scottsdale/Phoenix AZ area and has helped many call centers in different industries throughout the United States implement call center reporting. Contact Evaluate Quality now for your no obligation demonstration of their software solutions. Is call monitoring software worth the investment?